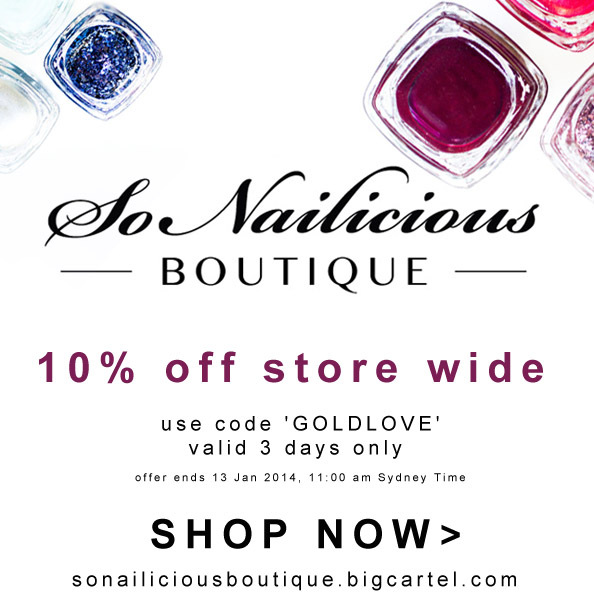 SoNailicious Boutique is our online store and the logical extension of 2 of my passions, jewellery and nail polish. If you’ve been reading my second blog, SoNailicious, you may have already seen this announcement. I had to wait a bit longer before breaking the news here simply because I wanted to show you a wider range of beautiful jewellery. Well, it has finally arrived! The boutique offers a collection of hand picked products from all around the world that I personally enjoy and would love you to experience too. Only a limited quantity (2-3 items) of each product is available and once they’re gone they’re gone. So if you really want something, be quick to snap it. To keep things fresh, we’ll be regularly (fortnightly) updating the store with new brands and new products. All prices are in Australian dollars and we offer flat shipping rates for all orders. We ship worldwide too. YAY! Finally, to celebrate this exciting launch with you, here’s a special discount – 10% off store wide! Use the code ‘GOLDLOVE’ at the checkout but hurry, it’s valid for 3 days only (expires 13 Jan 2014, 11am Sydney Time). 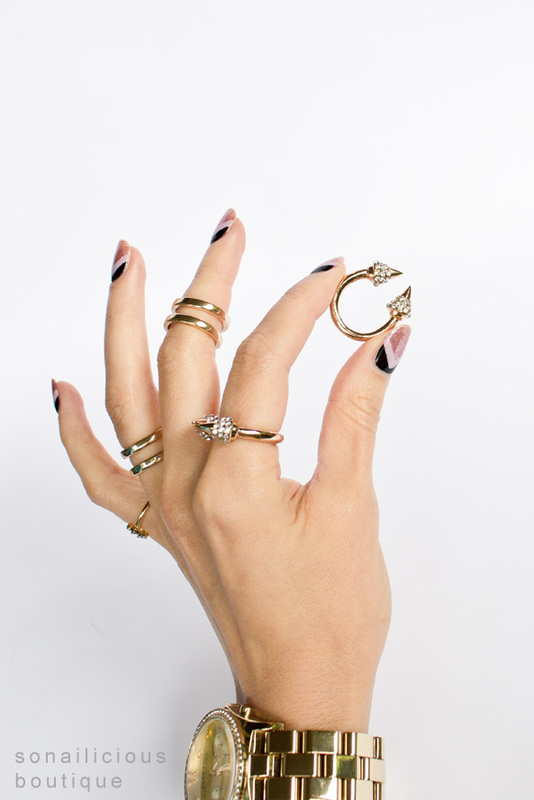 My pick of the day: these super cool gold knuckle rings. How exciting! Congratulations, I can’t wait to check out the store. The rings look amazing! I love all of those rings! 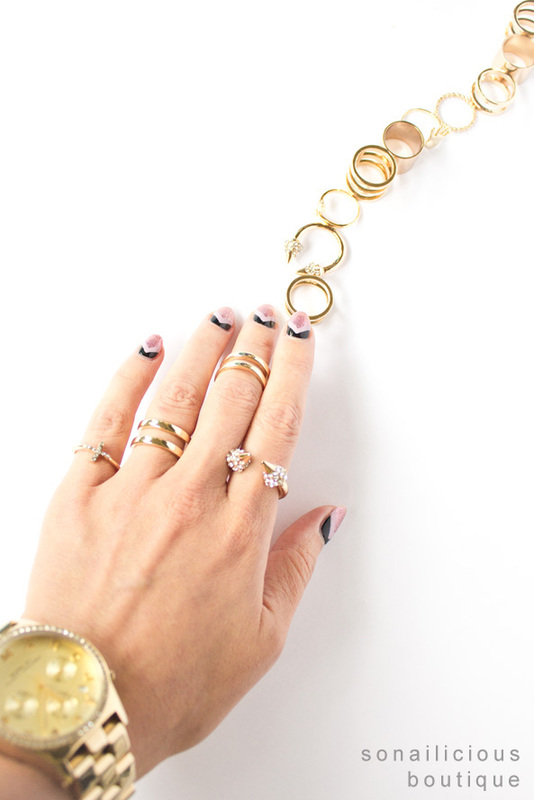 I love layering delicate gold rings and I want to add a few of these to my collection.